The demand for Residential Property in East Godavari has increased tremendously in the past years. People are showing interest in the Flats & Apartments, Individual Houses / Villas, Builder Floor, Office Space, Residential Plot, Agricultural/Farm Land, Commercial Lands /Inst. Land, Warehouse/Godown etc., in this city to find their dream property here in the affordable, luxury segment. The new projects in this city are another reason why people are investing in its real estate.Projects like are the reason people are inclining towards these localities. As one of the most attractive city in andhrapradesh, East Godavari tends to offer all types of properties to all segments of buyers. One can easily find 4BHK Flat in this city. 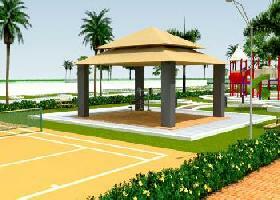 If you are also looking for the ideal Residential Property in East Godavari, this city would never disappoint you. Buy, Sell and Rent Property in East Godavari with RealEstateIndia.Com! Latest Review of Locality East Godavari." East Godavari is a very popular city in andhrapradesh. Its proximity to and the ease to reach there is a great plus point. East Godavari is a great place to reside in andhrapradesh. The locality here has Saftey, Roads, Parking, Schools facilities nearby.